Philippine gaming and hospitality company Bloomberry Resorts Corporation confirmed plans to build a second integrated resort in the Metro Manila region as part of its strategy to capitalize on the Philippines’ booming tourism industry and growing mass segment in the north. Bloomberry Chairman and CEO Enrique K. Razon said in an interview after the company’s Tuesday annual general meeting that construction on their new property is expected to begin by mid-2019 and to be completed by 2022. The resort will be built on a portion of land in Quezon City, a city located northeast of the capital Manila where Bloomberry’s core operation – Solaire Resort & Casino – is based. Mr. Razon said Tuesday that they will expand the Solaire brand with their new property in Quezon City. The businessman further pointed out that they are yet to estimate the project’s budget, and that a master plan is in the works and is expected to be presented by January 2019. The planned hotel and casino resort will be constructed on a 1.5-hectare site within the 45-hectare Vertis North mega-project. Bloomberry bought that portion of land from the Philippine National Housing Authority for nearly PHP2 billion back in 2015. Mr. Razon said they are planning to build a high-rise property as the land they own in Quezon City does not allow for a sprawling resort. Bloomberry’s Quezon City operation will look to cater to the growing mass market in the north, the company’s top official pointed out Tuesday. Mr. Razon went on to say that they believe 2018 would be a banner year for the Philippines’ integrated resort industry and tourism’s role in the development of that industry will keep be growing. 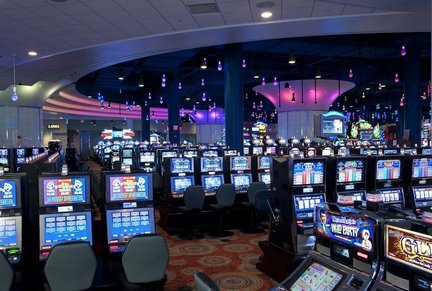 According to the businessman, the rise in middle-class income and the constantly improving connectivity across the region would, too, play a significant role in the future development of the casino resort segment. As mentioned above, Bloomberry’s new Solaire resort would look to tap namely the mass market segment in the northern part of the country. The gaming and hospitality company also believes that it would further benefit from the rising number of daily flights from China, there are 32 of them currently, and from the multiple visa relaxations rolled out over the past several years. China’s middle class is expected to become an important driver of growth within the casino gambling and integrated resort sector in the next few years, and more and more countries in the Asia-Pacific region, the Philippines included, have been looking to develop properties that would appeal to that particular demographic. In a separate announcement from earlier this week, Bloomberry announced that it has completed the purchase of the portion of land where its Solaire Casino & Resort is located. The company paid the amount of PHP37.33 billion (approximately $710.3 million) to the Philippine Amusement and Gaming Corporation to assume ownership of the site. Solaire was the first integrated resort to open doors in Entertainment City, a multi-billion scheme initiated by the Philippine government for the construction of four hotel and casino properties in the heart of Manila to boost tourism and bring international visitors to the country.